Our Digital Leaders have been working hard all year and have now completed the Childnet Digital Leaders Programme. This aims to inspire young people to encourage others to use technology in a positive way in the school or local community. The Digital Leaders are interested in technology, trust worthy and classroom role models and have a range of responsibilities, including: delivering assemblies, fundraising for new equipment and supporting peers in lessons. What have we been doing this term? Not only have we completed our training and become qualified Digital Leaders - we finished the term in 1st place on the leader board. How can we help people who are being or have been cyberbullied? What information do we need to keep safe online? What should we do if a stranger contacts us online and asks you to meet? What qualities makes a good online friend? How can we be a good role model for others in school? What are the different types of things we can ‘Accept’ online? When is it OK to open files online and when should we delete/ignore? How do we find truthful and reliable information online? How can we help others in school find reliable websites? We have also prepared activities during Anti bullying week and Safer Internet Day as well as encourage others to make digital resolutions and complete our esafety quiz. We have met with the Childnet team and become guest bloggers (https://digital-leaders.childnet.com/little-chalfont-primary-school-guest-blog-about-becoming-digital-leaders/). 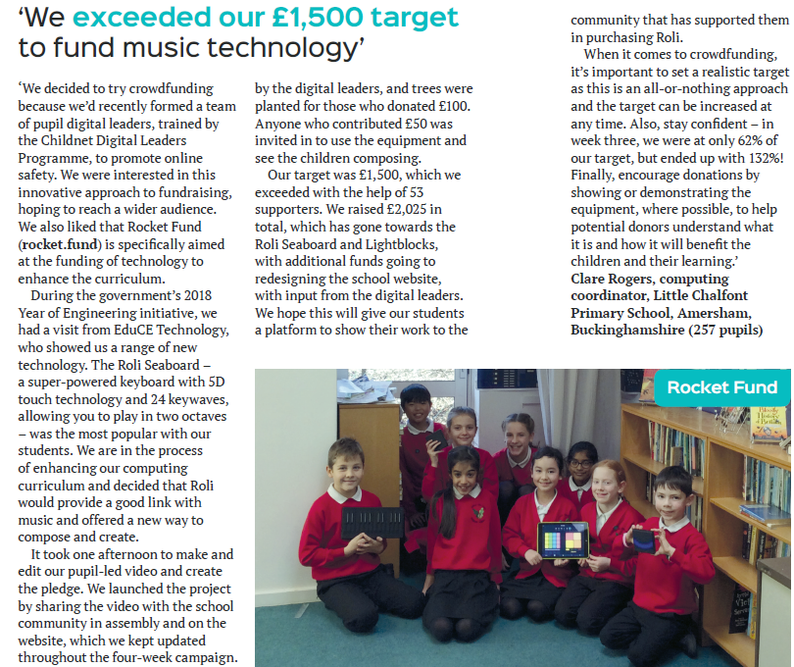 Rocket Fund Case Study: LCPS digital leaders on how to run a project. We loved having a little chat with these amazing digital leaders - watch the video to learn hints and tips about just how easy it is to run your very own project! and talk to you about it. Our crowdfunding success has been shared in FundEd, a magazine which aims to support and inspire schools with news ways to generate income.